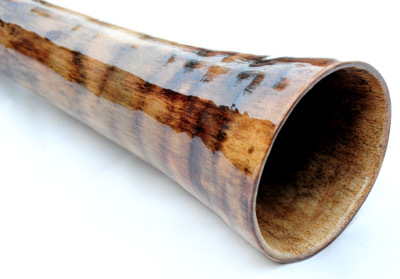 If you are ready to begin your journey playing didgeridoo but not sure where to start this is the one for you! This one plays with such ease and has such a great feel to it. The back pressure is strong with its taper and takes very little breath to get the drone going. The drone is so nicely balanced and has really good volume with that 6″ bell it tapers to. This one registered in at both C near the 440hz and C# near the 432hz. I don’t really focus on tuning as much but more on feel and this one has such a nice vibe to it. The shape of this one also allows for easy overtones and the vocals are also tremendous. For the advanced player this one will be electric as it is so responsive and has the ability for great speed and also ambient style of playing. 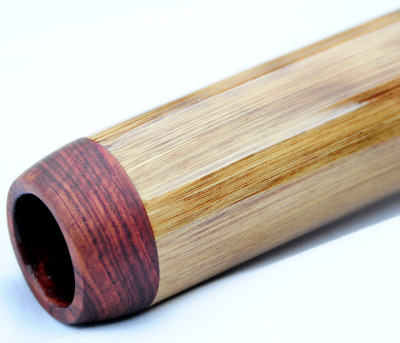 A perfect didge for the beginner to most advanced player!